No disrespect to my friend, but the CR-V has looks that only its mother could love. 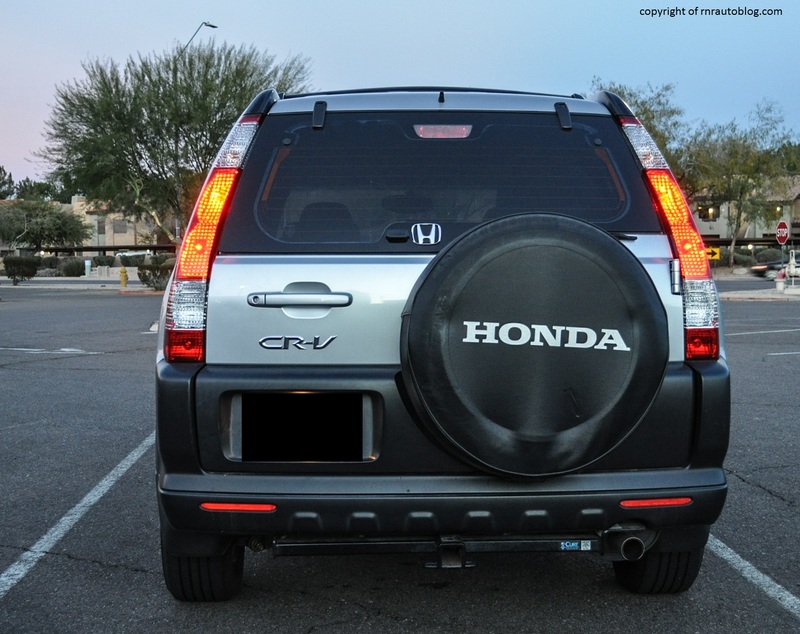 For most people, the CR-V looks fine; it looks like a car. But to us gearheads, it does look rather ordinary. 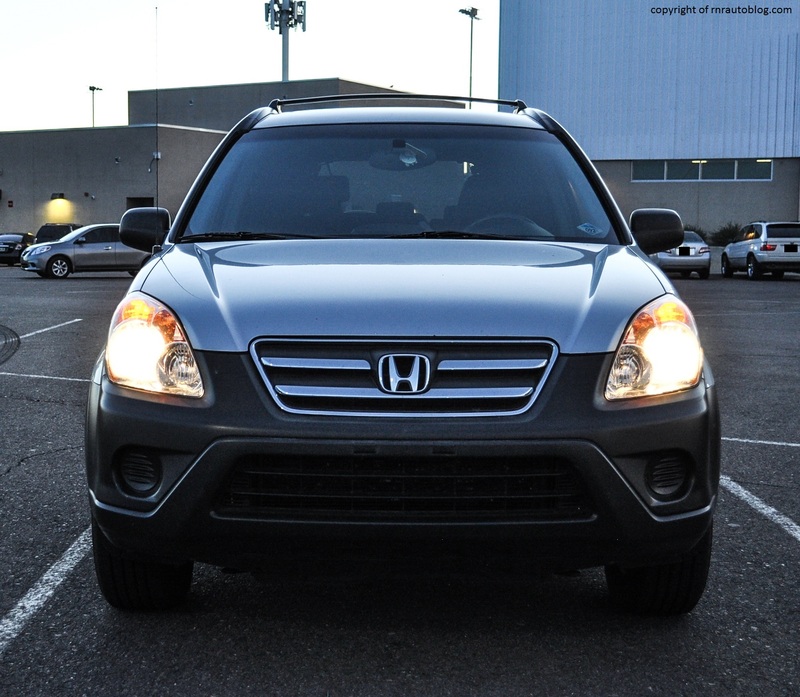 The 2005 refresh included new headlights and a chrome grille, which suit the CR-V nicely. This is the LX trim, meaning that it gets black colored bumpers and moldings as well as steel wheels(the strips on the doors) which cheapen its appearance somewhat (The LX and EX get black colored bumpers while the top of the line SE gets body painted bumpers). The side profile is reminiscent of a box although the subtle fender flares butch up the fascia a bit. At the rear, an external spare tire occupies much of the rear view. 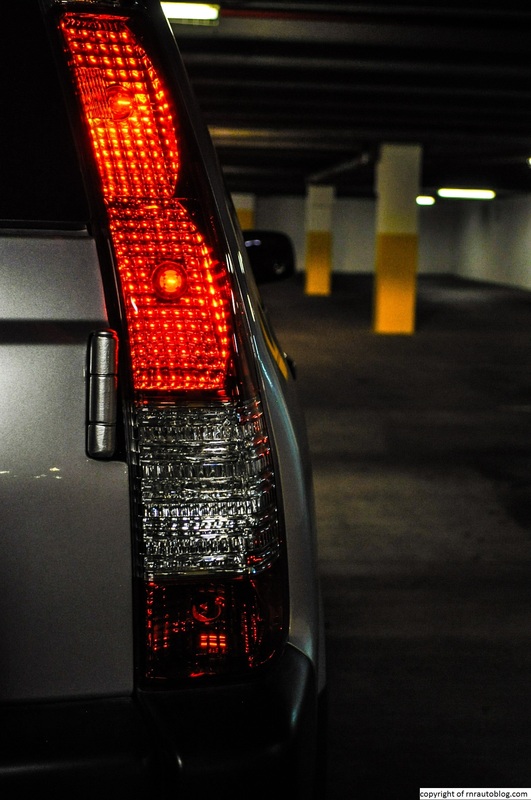 The trademark CR-V vertical and long taillights also remains in this generation. I really don’t have much to say about the styling because there is nothing much to say about it. I will say this though, if you look at it carefully, it does have some degree of cutness to it, and it is regrettable how Honda removed the external spare tire for the later generations in purpose for a sleeker look. Just like the exterior, the interior is functional in terms of appearance. 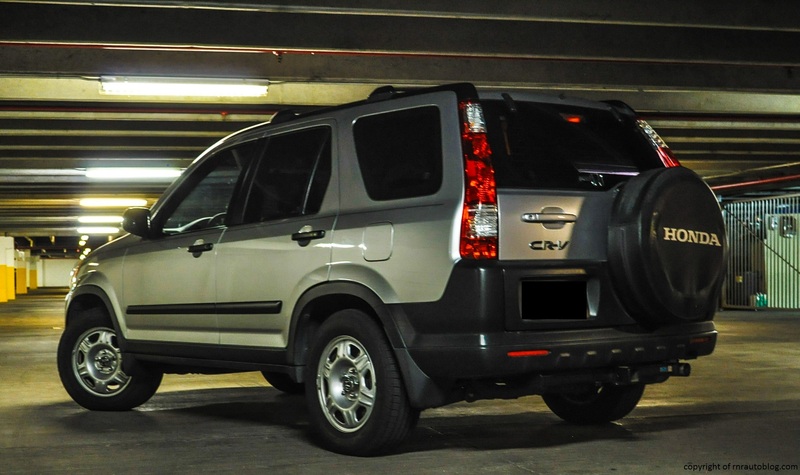 Don’t be fooled by its plain-Jane appearance; this CR-V is packing the goods dynamically speaking. 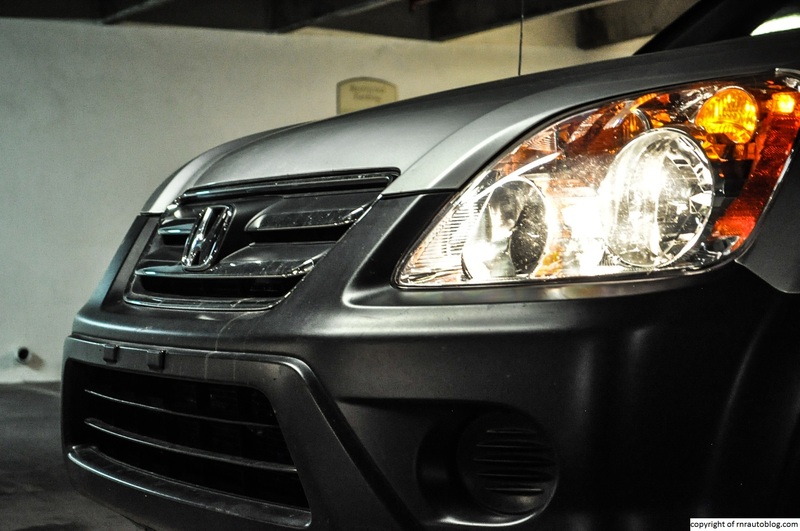 Ten years ago, Hondas had this ability to endow its driver with higher than average driving experience despite its average exteriors. 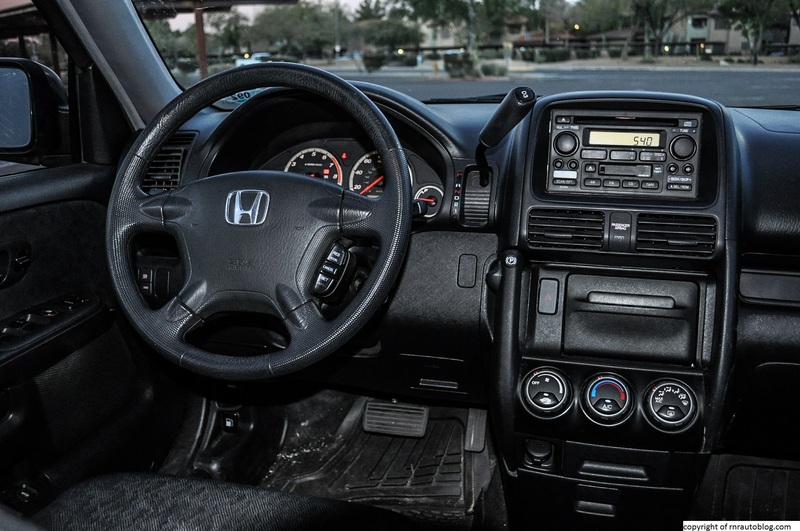 The Honda Odyssey and the Honda Accord were considered the sportiest out of their classes, and my Honda Pilot has one of the best steering feel I have experienced in an affordable car. This CR-V is no exception. As soon as I got in the driver’s seat, I expected the steering to be super light, but I was pleasantly surprised that the wheel actually feels connected to something. The steering is superbly weighted as it is manageable at low speeds, but it firms up smoothly as speeds rise, and it responds promptly. 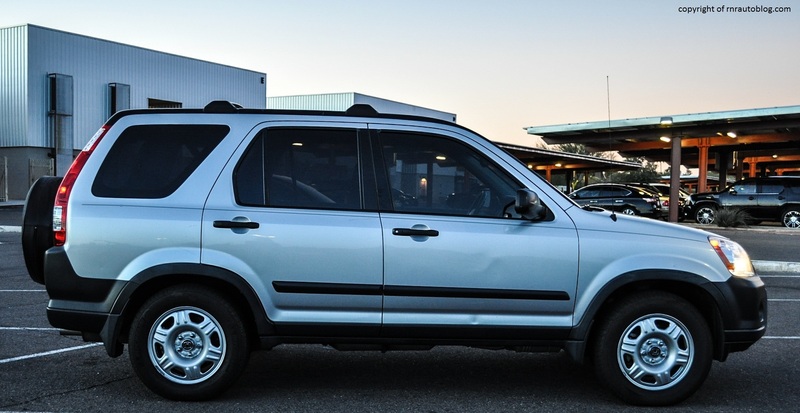 There is actual feel in the steering as well, and the CR-V corners with such little body lean that it feels like a Civic rather than a CR-V. Needless to say, I swallowed my pride and told my friend, “I like this car.” As expected, she gave me a smirk. If she is reading this, you can be assured she is smiling smugly (the debate was that intense). The tires provide decent grip, and this combined with excellent steering and low body lean, made for some fun times in the parking garage. For research purposes, I insisted on cornering at somewhat high speeds to gauge how it would handle. I mean, it is educational, right? But the conclusion is that it is enjoyable to drive because it has that Honda magic, the magic that made Hondas secretly fun to drive. 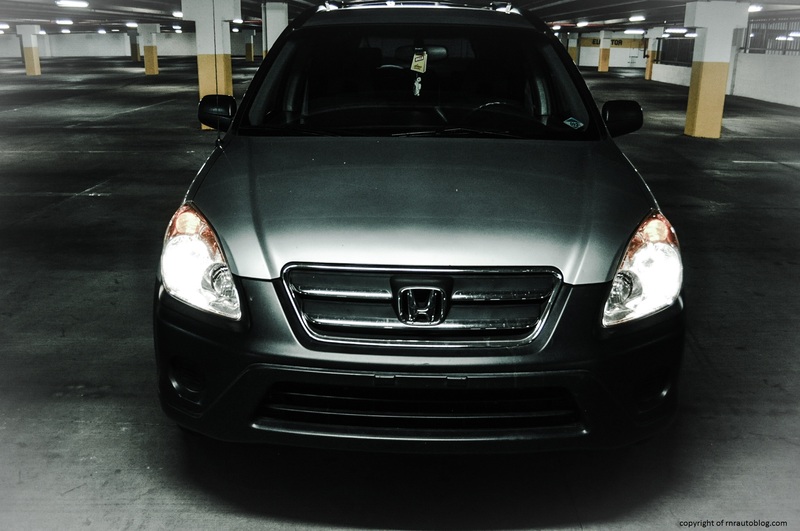 As expected of a Honda, the ride is firm, but it never becomes uncomfortable. The sole engine offering for this generation (in North America) is a 2.4 liter four cylinder engine with a horsepower rating of 160. Transmission options include a five speed manual (available on LX and EX trims regardless of FWD or AWD) or an automatic transmission. While not very quick, the four cylinder feels strong and lively, and it has decent pickup power. It feels adequate at low revs although it can feel strained at high revs. Nonetheless, I never felt that it needed more power when keeping up with traffic. The automatic transmission shifts smoothly, and it is always in the right gear in any situation. Expect fuel economy around 22 mpg overall. As with most Hondas, road noise is evident. 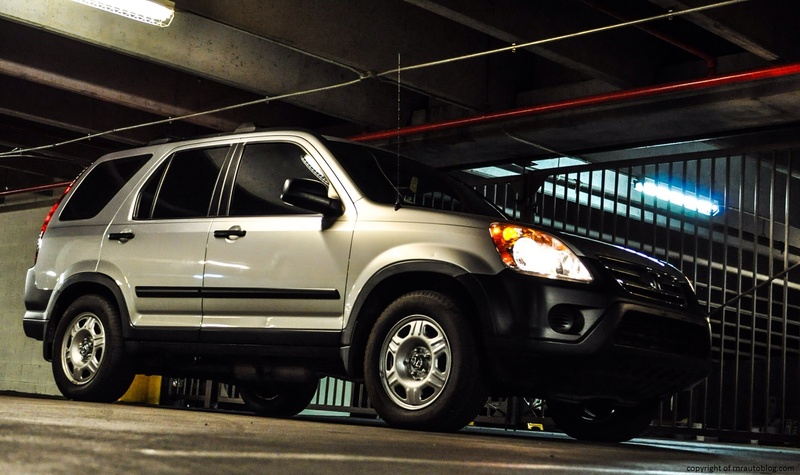 On anything other than smooth pavement, road surfaces and tire slap permeate the cabin. In addition, the four cylinder is buzzy at low revs and emits a raspy engine note when pressed. However, the CR-V is still a decent companion in the sense you don’t expect a whisper quiet cabin. The interior is not anything special to look at, but there is no denying its unbelievable versatility. If I didn’t know any better, I would be under the impression that I am sitting in the Odyssey minivan. The driving position is excellent as it is easy to get comfortable. You sit up high, and thanks to the large windows, you are afforded a 360 degree view of the road. Everything is within easy reach from the driver’s seat. One feature that is carried over from the Odyssey is the walk through center tray. There is no center console, and in its place is a tray in the middle. When it is upright, it can house cups and be used as storage. It also can be folded on the side of the seat for access through the rear or for additional storage between the two front seats. The rear seats can fold flat to form a bed, and the cargo floor is removable and can be used as a picnic table. This is going to sound biased, but this is brilliant and simple engineering. Instead of automotive manufacturers focusing on WiFi hotspots and all these fancy technology, they should be focusing on things like these that actually make our lives easier. The cargo area is roomy for a compact SUV, and the tall roof allows for plants and such to fit in with ease. The swing out door can be cumbersome but it is just as usable as a conventional swing up type. The rear window can be opened without the door having to be opened, a neat touch. The rear seat is surprisingly roomy as there is actually as much legroom as in my Pilot. The CR-V is considerably narrower though, but still comfortable enough for adults. The cloth seats that come with the LX and EX are supportive enough although the lumbar support could be better. Leather seats are available only on the top of the line SE. The controls are easy to master, although the radio buttons could be larger and more differentiated. The AC system houses large rotary knobs that are easy to discern at a glance. 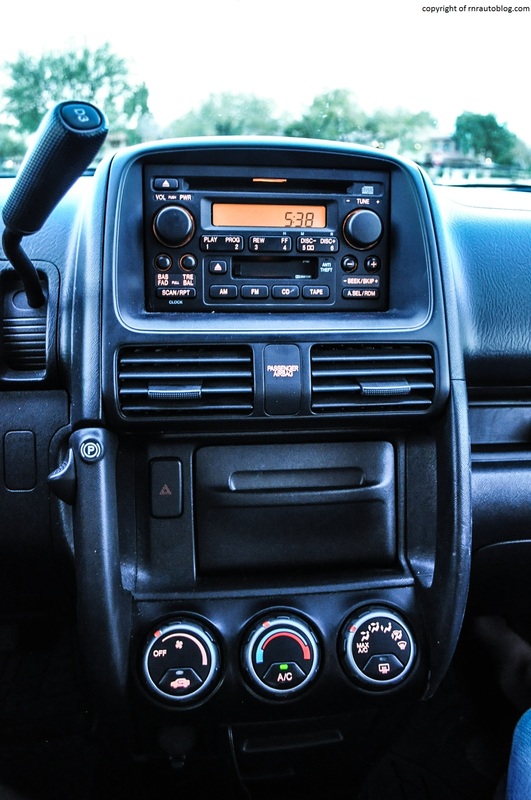 Between the radio and the AC, there is a storage compartment large enough to house CDs (LOL in 2015) or small items. Another cool feature is the dash on the passenger side. The dash has a small cutout for storing items as well. Seriously, you could live in this car. The fit and finish is spot on, and everything feels well assembled. When my friend told me that she got a CR-V instead of her mom’s Pilot (We actually did a photo shoot with our two Pilots. Check it out here), I displayed happiness for her although I always teased her that my Pilot was better than our CR-V. The CR-V/Pilot is a constant debate, but I will be the first to admit that I like the CR-V. When I talk about the “Honda magic,” I am referring to how Hondas had the ability to appear like normal cars, but in reality they are not. They come with thoughtful touches, and their handling and performance far exceeds your initial expectations. 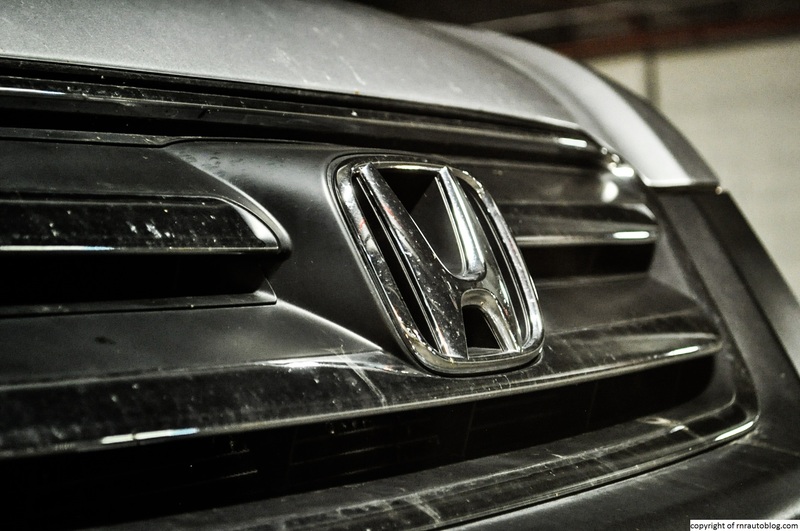 Whenever you drive a Honda, you think, “Wow, it is like the people at Honda actually thought about their customers.” There is something special about a Honda. Of course, this was ten years ago, and Honda has changed drastically since then. 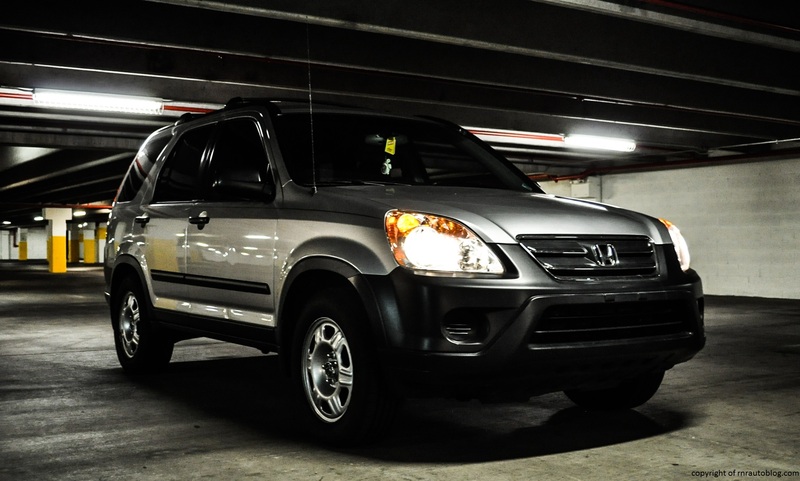 But this CR-V has an uncanny ability to combine all the virtues of a minivan and a car in one user friendly package. Now I can see why the CR-V is America’s best selling SUV. It just does it all. Even a manual transmission was offered. 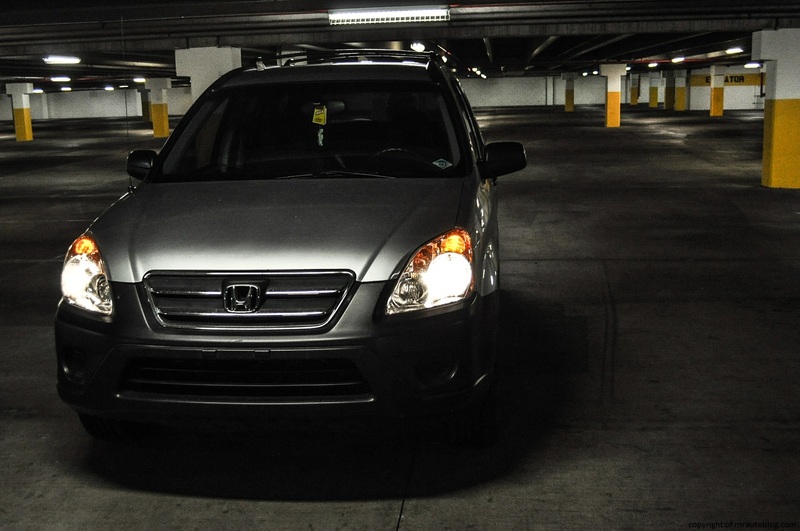 I reviewed a 2014 CR-V, and I was unimpressed. I was so unimpressed that I could not find enough words to write about it. Don’t get me wrong; the current CR-V is an excellent car for the average consumer. But it doesn’t have the charm that this CR-V does. 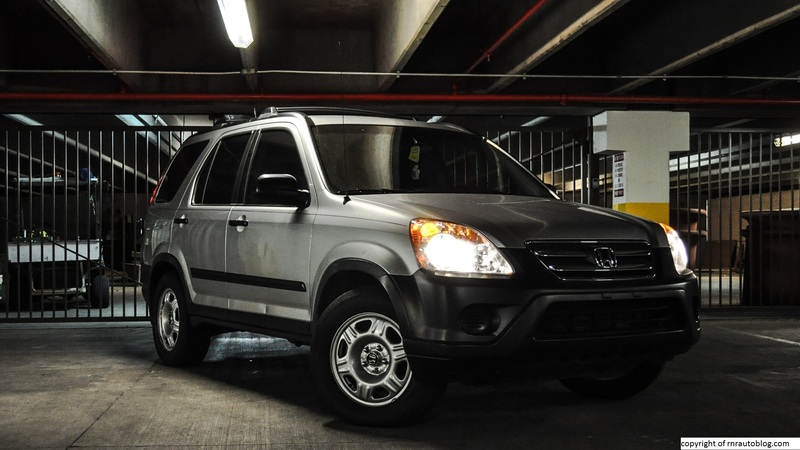 The second generation CR-V is an example of good old-fashioned brilliance. Good read! 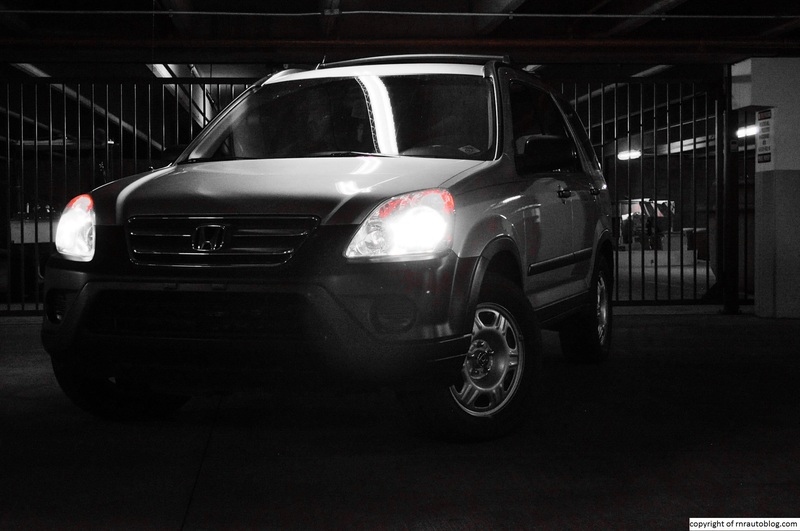 Our 2012 CRV is cleverly packaged, frugal and comfortable. However the steering is fluffy. Feels like your steering an air mattress down a calm river.